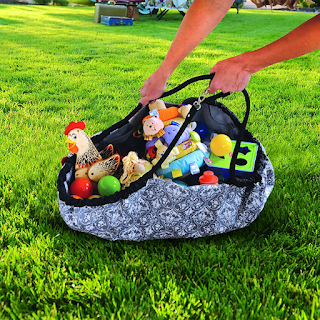 Check out this Easy Toy Nanny and Play Mat for $17.99 (Retail $39.99). -Roomy interior with 8 mesh pockets to store diapers, wipes and key essentials; Strop drop is 23 to 27"
Mark your calendars because McAlister's is gearing up for its 10th annual Free Tea Day, where they'll be giving away all flavors of their Famous Tea served in 32-ounce tea glasses on June 21 – no purchase necessary. Sweet McAlister's Rewards: From June 11 to June 20, McAlister's Rewards members will receive a free cookie with any tea purchase. #CheersTo10Years: Fans are encouraged to submit their cheers-worthy moments with the hashtags #CheersTo10Years all month long. Fittingly, the winner will receive ten years of free McAlister's tea. Check out this gift idea for Father's Day! Right now Home Depot is offering this Game Set for just $96.25 (Reg $137.50)! Shipping is FREE on this offer. Wrapped in soft leather this multi-game set is the perfect addition to have around the house. 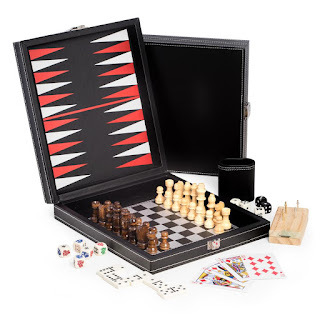 The 5 in 1 set includes, backgammon, chess, cribbage, dominos, and a deck of playing cards. 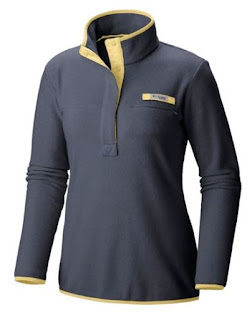 The compact shape allows for easy travel and packing. A total conversation piece. Offer valid until 6/17 or while supplies last. For a limited time only, head over to score the Amazon Echo Show in black or white for just $149.99 shipped (Retail $229.99). My husband's a gadget guy...pretty sure I'm scoring this for Father's Day! 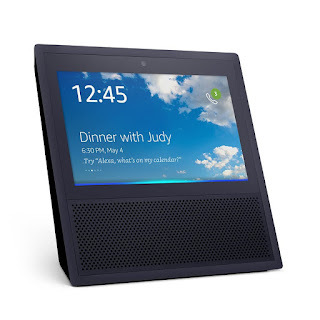 The Echo Show can play video content such as Amazon videos and security camera feeds, display photos, give weather forecasts and so much more! You can also call anyone hands-free or make video calls to friends and family. Plus, connect to additional smart home devices like WeMo, Philips Hue, Sony and ecobee.